I just read this quote and realized how perfect it is for today. 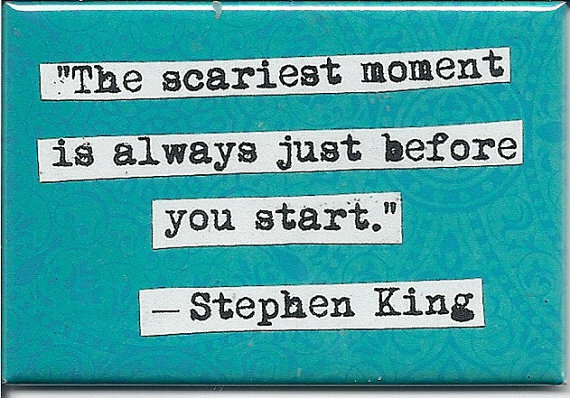 Starting something new can be pretty scary, there’s the fear of the unknown and all of that. For me, I find that I am hindered by expectations. It’s fairly normal for someone to have expectations regarding the outcome of a project or plan. For most people it’s a question of finishing the project or the general quality of the results. Apparently, I am not like most people. I find myself creating imaginary scenarios, which makes more outcomes that I have to plan for. There are a few things that I struggle with starting and sticking to, losing weight and writing. It wouldn’t be so bad if all I was concerned about was failure. It goes deeper than that though. In regards to losing weight, I worry about failure. I don’t want to fail and possibly gain even more weight. When I am trying to lose weight I usually don’t tell anyone. It’s embarrassing, that I need to lose weight, and then I stress about how people will react if I don’t succeed. I have that poisonous voice in my head that whispers evil things in my ear. So, I am thinking about all of the things that people would be saying behind my back, how they aren’t surprised that I failed, that I shouldn’t have tried in the first place, that I will always be a ‘big girl’, that either way it really doesn’t matter. I’ve actually had someone tell me the ‘big girl’ one, I will never forget that one. As bad as failure is, I worry about succeeding too. It’s a lot of pressure. I am not particularly vain and yet, I can’t help but think of how I will look after I lose the weight. What if I lose weight and I am still not happy with how I look? The evil voice likes to tell me that it won’t matter, I will be unattractive either way. * I can hear the “other” people whispering about how it’s so sad that I did all of that work and it really didn’t matter. *I am so very lucky that I have Sully. He tells me that I am beautiful, cute, amazing and other great compliments on a daily basis. It helps a lot with tuning out the evil voice. 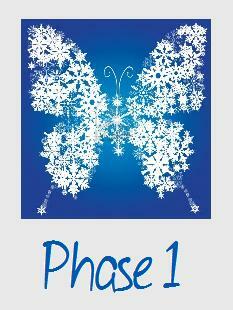 My goal for Phase 1 is to walk everyday and do my weight/strength exercises six days a week. I’ve already gotten a jump on these this week so, I am excited to continue on and see some great results. Boo and I walked during halftime of the later football game. A brisk ten minute walk, 0.60 miles. I know we will get faster and cover more distance as we continue to walk everyday. Today is Sunday, I don’t have strength exercises scheduled today but I am going to do an extended stretching session. It’s the middle of the week and I am so ready for the weekend. That’s pretty much it.